You'll love having this Round Cocktail Table in your living space for its open atmosphere and unique textures. The piece features elegantly designed metal legs and stretchers that support a beveled glass top to reinforce that clean and airy look. Furthermore, the burnished bronze finish add a subtle antique look. 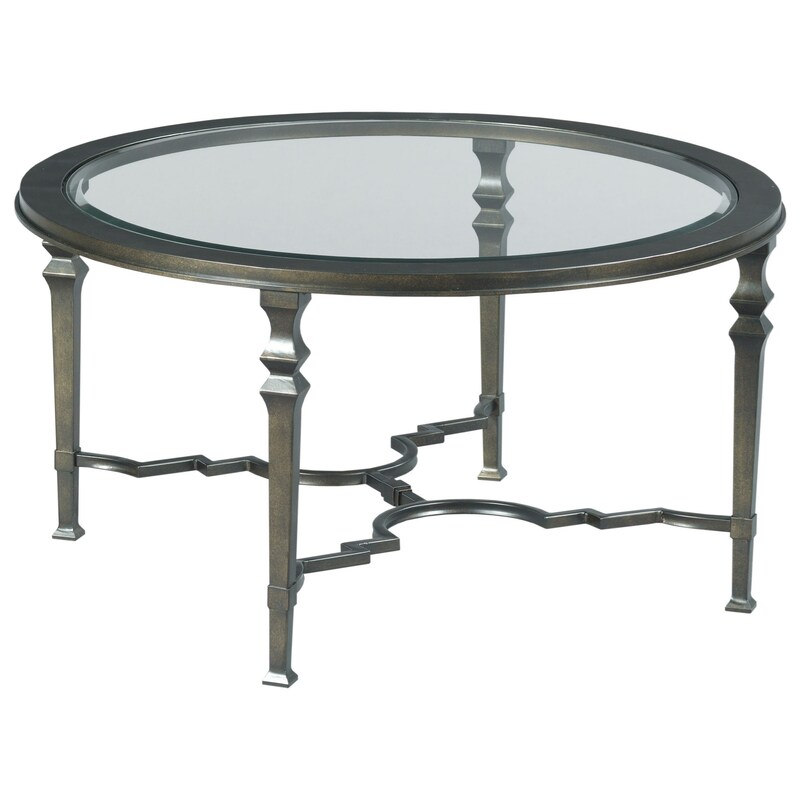 The Paragon Metal Round Cocktail Table with Glass Top by Hammary at Reid's Furniture in the Thunder Bay, Lakehead, Port Arthur, Fort William, and Northwestern Ontario area. Product availability may vary. Contact us for the most current availability on this product. This collection of occasional tables, with its deft shaping, burnished bronze finish and beveled glass tops, is guaranteed to freshen up your living space. Choose between a rectangular or round cocktail table, rectangular or round end table and a sofa table. The Paragon collection is a great option if you are looking for Industrial Transitional Traditional furniture in the Thunder Bay, Lakehead, Port Arthur, Fort William, and Northwestern Ontario area. Browse other items in the Paragon collection from Reid's Furniture in the Thunder Bay, Lakehead, Port Arthur, Fort William, and Northwestern Ontario area.